The LaSalle County Nursing Home has been cited by the State of Illinois' Department of Public Health (IDPH)for violating the rules and regulations for nursing homes. In the most serious of the violations, the IDPH found that a Registered Nurse (R.N.) failed to promptly perform cardiopulmonary resuscitation on a resident and instead left the resident and went to get assistance. The resident died as a result of failing to receive help. The nurse had only been licensed for two year and the incident occurred at the end of 24-hour shift for the nurse. The nursing home was also found to have allowed its staff to verbally abuse residents and in another instance gave a resident food the resident was known to be allergic to and given anyways. In the third case, a registered nurse did not promptly perform cardiopulmonary resuscitation on a resident July 17, instead leaving the resident and going to get help. The resident died and the nurse was fired. The nurse had been a nurse two years and the incident happened at the end of a 24-hour shift for her, according to an IDPH document. The nursing home will almost assuredly claim that these are "isolated" incidents. But based on the IDPH report, these incidents are probably not isolated and could show a pattern of Nursing Home Abuse and Neglect. The Nursing Home, and each and everyone of its employees, has the duty to do everything possible to provide the highest level of care to their residents. A nursing home's goal should be for their residents to receive a high level of care so that there lives are as best they can be from a medical, psychological and even social standpoint. Merely "maintaining" a resident's condition is not the standard by which a nursing home is judged. If you have any questions regarding this post or an issue involving Illinois Nursing Home Abuse and Neglect, please contact Attorney Mike Keating at 312-208-7702 or MKeating@KeatingLegal.com. All initial consultations are confidential and free. There are reports that Dennis Bozzi, the former President and CEO of Life Services Network of Illinois, has "misappropriated" approximately $670,000 from a nursing home group and has agreed to repay the funds. While this instance doesn't directly deal with Nursing Home Abuse & Neglect, I thought it was worth reporting because it illustrates an important truth. That truth is that no matter what a person's role they are not above the law nor should they be able to escape accountability. Illinois residents are fortunate that they have laws in the Illinois Nursing Home Care act that allows them to bring a civil claim for any harm that comes to them or a family member because of abuse or neglect of a nursing home resident. If you have any questions regarding this post or an issue involving Nursing Home Abuse and Neglect, please contact Illinois Nursing Home Attorney Mike Keating at 312-208-7702 or MKeating@KeatingLegal.com. All initial consultations are confidential and free. CNN has posted a video and related news story of a healthcare worker violently abusing an elderly woman. It is horribly ironic that this healthcare worker was hired to provide the elderly woman with assistance with her activities of daily living such as eating, dressing, bathing and walking. As an Illinois Nursing Home Abuse and Neglect Attorney, cases like this are an unfortunate reminder of the horrors that can take place at the hands of the very people who are supposed to care and protect our seniors and others who are vulnerable. In Illinois there are criminal laws in place for instances such as this. If this incident were to take place it is probable that the authorities would prosecute the healthcare worker for Criminal Neglect. 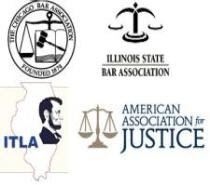 You can read a previous post on the recent amendments to the definition of Criminal Neglect in Illinois here. Illinois' civil laws also provide that the elderly person or their family members may pursue a civil lawsuit against the healthcare worker and potentially their employer. In instances involving nursing homes this often means that a civil lawsuit can be brought against 1) the abusive healthcare worker and 2) the nursing home that employs the healthcare worker. The Illinois Department of Health cited Galesburg Terrace Nursing Home for the presence of black mold in seven resident rooms and in one of the shower rooms. Galesburg Terrace was also cited for errors in ventilation care and errors in providing medication to residents. Nursing Homes in Illinois have a responsibility to provide healthy and safe homes for its residents. The presence of potentially toxic black mold is an inexcusable violation of the trust that residents and their families place in the nursing home. Black mold can be easily removed with standard cleaning processes. There is simply no excuse for a potentially toxic substance such as this to be present in Galesburg Terrace. The Chicago Tribune is reporting that the Grasmere Place Nursing Home in Uptown was recently given a surprise inspection by the Illinois Department of Public Health - except there was no surprise. When officials arrived at the nursing home the Administrator of the facility was reportedly waiting for the inspection and asked "what took so long?" Allegedly, a City of Chicago official tipped off the nursing home. However, the tables were turned later on when a true surprise inspection found the nursing home in much less of a "ready" condition. This story is particularly scary because it shows that our most vulnerable citizens, those in our nursing homes, were failed not only by the nursing home but also by at least one of the officials whose job it is to protect nursing home residents. Often, it is the Nursing Home Attorney who is the "last resort" and person who can hold the facility accountable. If you or a loved one have been let down by a nursing home, contact Illinois Nursing Home Attorney Mike Keating at 312-208-7702 or MKeating@KeatingLegal.com. All initial inquiries are confidential and of no cost or commitment.